The beating heart of Devon, Exeter is full of character and ancient history, along with all the facilities of a modern city. It’s a compact city that can easily be explored on foot, with scenic walks and plenty of visitor attractions. The focal point is the magnificent cathedral, which dates back to Norman times, and the city is also home to mysterious Underground Passages and a historic Roman Wall. The Royal Albert Memorial Museum tells the 2000-year history of the city under one roof. Exeter is also known for its excellent nightlife and is host to a top selection of fantastic shared and exclusive Christmas party nights. 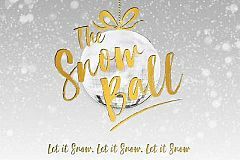 Perfect for corporates, there really is something here for everyone to help you and your team celebrate the best time of the year and what’s sure to be the biggest event on the work social calendar! Our listed Christmas parties aren't just for corporates though, they're also ideal for groups of friends, or those from clubs and organisations who are looking to celebrate the festive season! Take a browse of our brilliant choices and prepare to indulge in some mouth-watering food, delicious drink and some incredible entertainment – make it a Christmas party night in Exeter that your team will never forget! Shared Christmas parties offer a built-in atmosphere, with other teams on board to ramp up the festive spirit. It’s also a way to buy into some top class dining, drinking, décor and entertainment, while bringing in the cost well under budget. Exeter has some great venues to host your shared Christmas party night – the hardest thing you’ll have to do is decide what party night you’d like to enquire about. From the best restaurants to unique venues and spectacular hotel suites, there will be something within our shared range that will be perfect for every group out there! Are you part of a larger group and looking to go all out this year? Then why not venture down the avenue of an exclusive Christmas party for your whole team? It’s the perfect way to get everyone in the company to bond, and you won’t have to share your party space with any groups you don’t know, making it way more private. We’ve got a variety of exclusive party options available in Exeter; from stylish restaurants to fabulous hotel function suites which will be decorated with a fantastic festive theme! 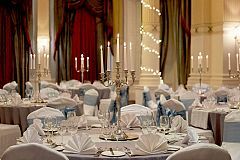 Opting for an exclusive celebration means that you and your team will be able to afford more flexibility; whether you’re looking to start the event at a specific time, or whether you’re looking to brand the venue with your company logo, many of our venues are open to bespoke ideas and will be more than happy to discuss these with you and help make your Christmas party visions a reality. 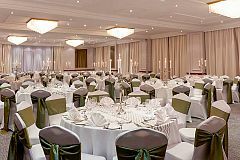 Browsed our top selection of shared and exclusive Christmas party nights in Exeter and found one you like the look of? Great! The next step is to contact the venue via your chosen package’s enquiry form. Just fill out the required info and click send; it really is that straightforward! The venue will then contact you directly to discuss your party enquiry further. You’ll also receive an automated email from us here at Eventa which will confirm receipt of your Exeter Christmas party enquiry. A reference number will also be provided within the email for your records.